> Tool boxes> STEEL UNDERBODY TOOL BOX 30" X 18" X 18"
STEEL UNDERBODY TOOL BOX 30" X 18" X 18"
This heavy duty Contractor/Tradesman steel tool box is made to fit most dump trucks, flatbed trucks and trailers. Made in the USA with high grade 14 gauge/12 gauge steel and stainless steel locking tee handle for a strong yet economical tool box. The recessed door and thick automotive gasket combine to keep your contents safe and dry. Box is 18"H x 18"D x 30"W. Ships via FedEx Ground. 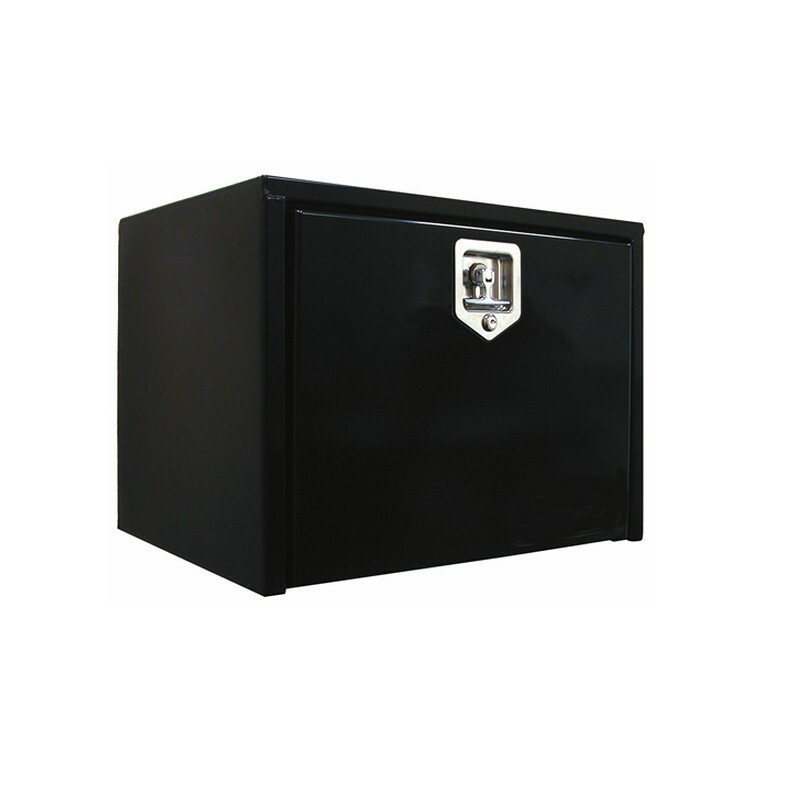 This heavy duty Contractor/Tradesman steel tool box is made to fit most dump trucks, flatbed trucks and trailers. Made in the USA with high grade 14 gauge/12 gauge steel and stainless steel locking tee handle for a strong yet economical tool box. The recessed door and thick automotive gasket combine to keep your contents safe and dry. Box is 18"H x 18"D x 30"W. Ships via FedEx Ground. 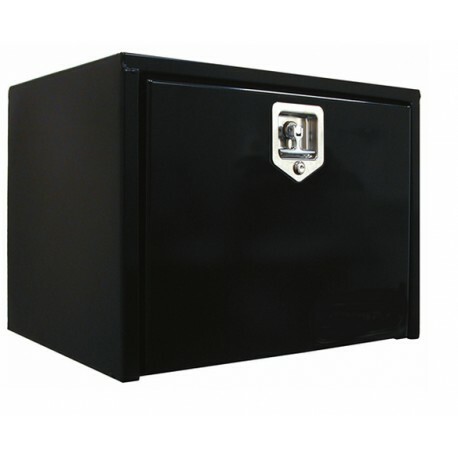 Features: 14 gauge steel box with 12 gauge steel door.